In 2007, China successfully destroyed one of its own satellites to reveal its growing military capabilities in space. In the 12 years since, the capabilities of China, Russia, and other nations have only grown. A new report from the Defense Intelligence Agency, released this past January, detailed how other countries have made it a priority to develop their military capabilities in space and erode America’s advantage in the newest warfighting domain. Recognizing the threat, the Department of Defense has moved to reestablish U.S. Space Command. As it does, it should look to the one place in America where capabilities, innovation, and mission overlap: Colorado. As the epicenter of national security space, our state is the prime location to further national efforts to ensure our continued technological superiority, global leadership, and capabilities in space. Indeed, U.S. Space Command was based in Colorado from 1985 to 2002. Today, we are home to military space: the Air Force Space Command, the 50th Space Wing, the 460th Space Wing, the 21st Space Wing, U.S. Northern Command, and the North American Aerospace Defense Command. At the National Space Defense Center on Schriever Air Force Base, the Department of Defense and Intelligence Community are partnering to protect our assets in space and ensure warfighting readiness. Reestablishing U.S. Space Command in the Centennial State would capitalize on this existing space infrastructure. Colorado also offers the workforce, industry, national labs, higher education, and quality of life to provide a thriving ecosystem for U.S. Space Command. Our communities are highly supportive of our national defense and intelligence missions, and Colorado companies routinely work alongside our military installations to support both the military and civilian worlds. Additionally, with a payroll of more than $3.5 billion, Colorado has the nation’s largest per capita aerospace economy. To retain our space superiority, America should build on existing missions and assets in Colorado. Last month, every member of Colorado’s Congressional delegation, along with Governor Jared Polis, made this case in a letter to the Department of Defense. In our letter, we also invited Acting Secretary of Defense Patrick Shanahan to visit and see firsthand what is abundantly clear to each of us: as a potential home for U.S. Space Command, Colorado is second to none. We are confident our space leaders in government and the private sector, including Secretary Shanahan, who are in town for the Space Symposium this week will come to the same conclusion. 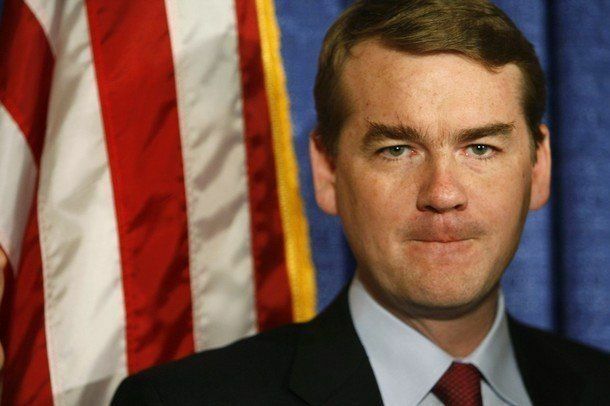 Cory Gardner and Michael Bennet serve as United States Senators from Colorado.